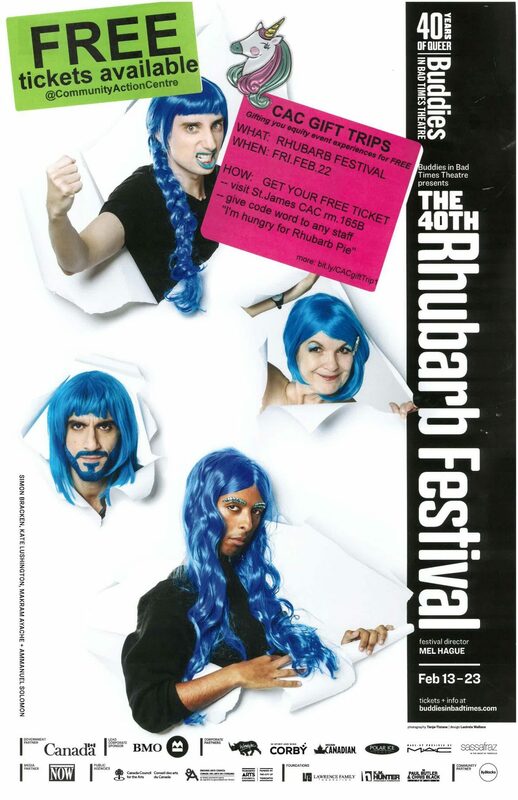 Next Trip: 40th Rhubarb Festival A night of experimental theatre, dance, music, and art. Happening at Buddies in Bad Times Theatre (historic queer theatre). 1. Visit the St. James Community Action Centre, room 165B during open hours.